I love it when you share your knowledge, which is a unique combination of art/design, history and economics. It brings a depth to beautiful objects. The “coach” in me wants to support and encourage you for being brave to leap between very different subject areas. Far more depth and resilience than you give yourself credit for (generally). Thank you for sharing! I hope he has children, or an apprentice he can pass that knowledge onto. I think there’s an apprentice, not sure about children. I’ve met his wife at the shop, so it’s possible. I was just thinking the same thing, John. He would have so much knowledge – what to do and what not to do. Would hate to see it disappear into the aether. Beautiful pieces and an interesting post. We plan a trip to Albi in the summer so I will look out for this. A real craftsman at work.It’s good he was able to give a proper attribution to your mezzaro panels.They’re certainly a good age and from a good atelier. Love the Toile de la Montagne Noire shops – is the video taken in the Labastide shop? Yes, that’s where the big atelier is. Here in town they only have a small workshop at the back of the shop. And I think in Albi it’s just a sales point. I really do like the Hammam towels at Les Toiles De La Montagne Noire. I REALLY like them. We had a vacation rental and the apartment had those towels and I marveled at how practical they are. Obviously you have to start with just the right cotton, and then the weave, but it was amazing how well they absorbed after a shower and they were not at all scratchy. I liked them for their practicality, you can store a lot of bathroom linen in not a lot of space. I’m not a fan of the fringe though, I think I would prefer they were finished in a simple tight weave. It must be amazing to be around such craftspeople. Mostly a lost art in the good old US of A., as profit takes a front seat, and nobody can be compensated enough for this kind of fine art work. Aloha, Pink. How interesting! 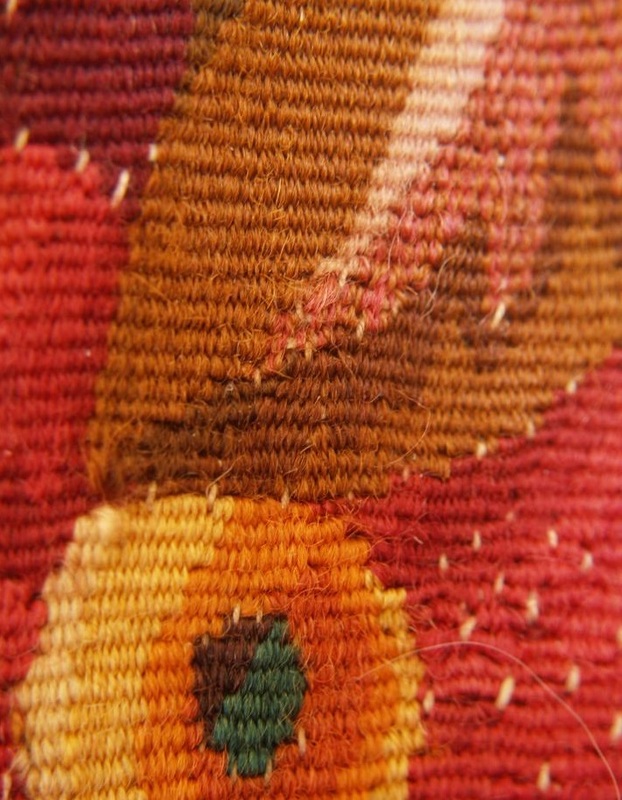 What sort of textiles are you working on now? I do enjoy to work on geometric patterns, and calligraphy. Right now I’m working on screen print tote bag for San Francisco. I will post them soon. 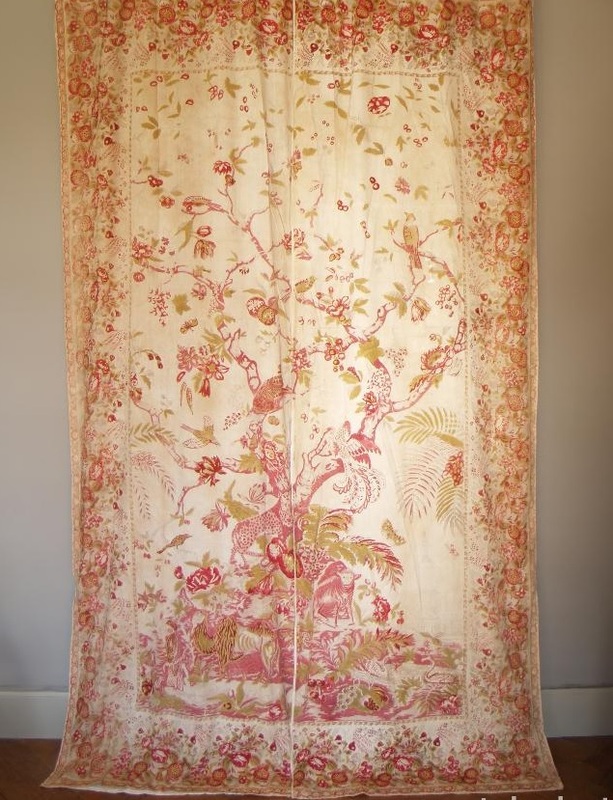 This entry was posted on March 8, 2018 by The Pink Agendist in art, Mazamet and tagged antiques, aubusson, Mazamet, tapestries, textiles, woodblock printed fabrics.